GITEX TECHNOLOGY WEEK, considered to be the world’s fastest growing technology hub takes place in Dubai World Trade Center every year. The annual consumer computer & electronics trade show had attracted diverse participants, most reputable in 2009 when Microsoft released Windows 7 with 150,019 people present. The event was first launched in 1981 as GITE, occupying only one hall of Dubai world trade center. In 1988, with the launch of MacWorld GITEX expanded to two halls. Currently, it takes place in 10 exhibition halls, comprising a million feet of exhibition space. 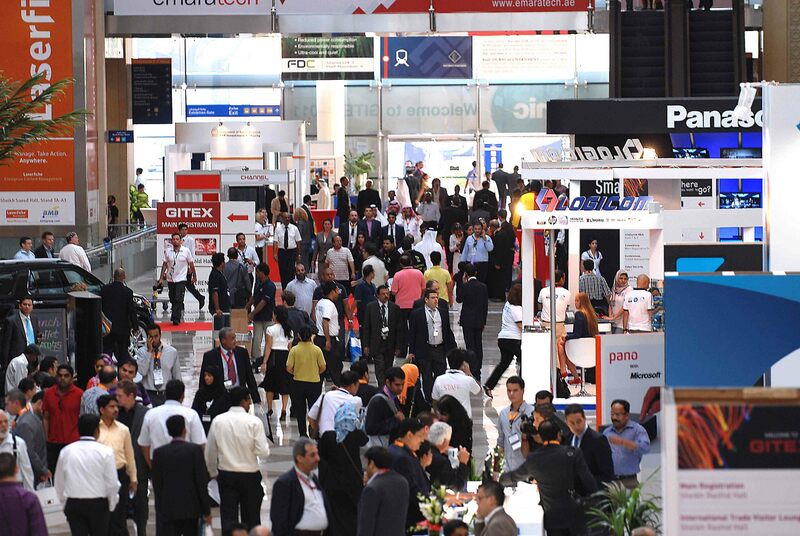 It will be fascinating for you to know that GITEX consists of 4473 exhibitors and 147133 attendees from 97 countries meeting together in the area of 92,903 square meters. eVento devises smart IT solutions, interactive Mobile Apps over several platforms. As a strong business model in the IT, Website & Mobile App domains, eVento endeavors not only to present satisfactory IT solutions to the clients but also target to deliver the immeasurable services with strong perspective. eVento is also considered as a veteran in the area of creative Mobile Application development. Meet eVento at HALL 6, STAND NUMBER: MAC6-2, Dubai World Trade Center. TechAhead is a mobile consulting, design and development company. They are famous for creating dynamic, interactive, and user-focused mobile applications for partners on iOS and Android platforms. TechAhead has diligently positioned itself as a leading developer of mobile applications with specialization in iPhone / iPad Application Development, Android App Development, Open Source ( LAMP) Development, iOS App Development, UI/UX Design, Xamarin Cross-Platform Development. They provide end to end solution, giving out support and maintenance after the delivery of your app. Meet TechAhead at HALL 6 STAND NUMBER: MAC6-25, Dubai World Trade Center. Urbansoft, a Multinational Software Consulting Firm specializes in Web, Mobile and Enterprise Applications with operations in 4 international locations. Urbansoft functions with a crew of experts leading the industry in the areas of Internet enterprise solutions and technologies. They have successfully achieved their operational spots in countries like the United States, Europe, and the Middle East as well. Meet Urbansoft at SHEIKH RASHID HALL STAND NUMBER: SR-D1, SR-E1, SR-D20, Dubai World Trade Center. SibEDGE is into quality software development for more than ten years now. It is a leading firm in Tomsk and a rather significant company in Russia. SibEDGE has extensive experience working with major customers from the oil and gas, financial, and telecommunications industries in both domestic and foreign markets. They develop mobile apps for three important platforms: iOS, Android and Windows Phone. To optimize costs, the client focuses on cross-platform technology Xamarin, Unity, ExtJS. Ibtikar was started in 2011 in Saudi Arabia with the sole focus of making technology solutions accessible, easier and scalable. With a team of 70+ employees, Ibtikar has built mobile apps for iOS, Android, and windows, serving all sorts of clients and industry leaders. They specialize in dynamic, unique and extensive apps designed to fit the client’s need. Ibtikar is the leading software company in Saudi Arabia and the entire MENA Region. Meet Ibtikar at CONCOURSE 1 STAND NUMBER: CC1-20Q, Dubai World Trade Center. If you are a part of this grand event, 37th GITEX technology week and looking for your next mobile app development partner, Visit the above stands. Since GITEX is all about early adoption of the updated technology, there are few best mobile app development companies exhibiting this year, let’s take a look.